One of the most anticipated announcements in sports television was derailed Sunday evening when a photo of the full March Madness bracket was leaked on Twitter during the Selection Show. 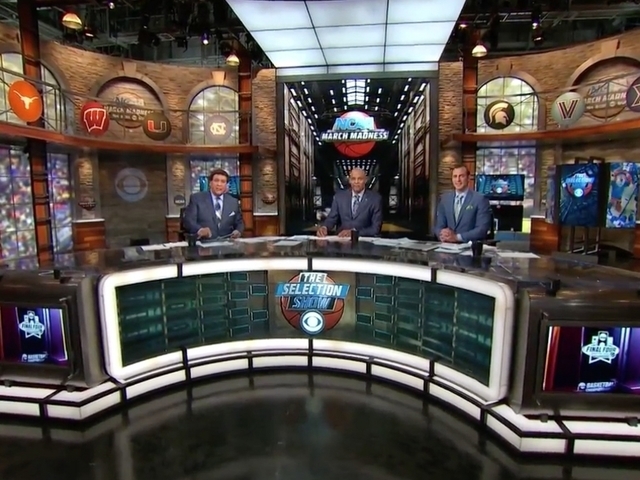 The bracket appeared as the NCAA tournament field was being announced on CBS, and though people were skeptical at first, it soon proved to be legit. The leak was probably aided by a change in the show's format. In previous years, the show was an hour long, with the bracket reveal finishing up in a tidy 30 minutes. This year, the show was stretched to two hours. The leaked bracket didn't just help out fans — coaches were keeping an eye on it, too, and some began to prepare for their March Madness opponents before CBS announced who they were. Needless to say, this is a disaster for CBS Sports, ruining the suspense for a show that had 5.5 million viewers last year . And fans were complaining about much more than the leak, like a segment where Turner Sports analyst Charles Barkley had trouble working a touchscreen — when the show wasn't even done revealing who was in the tourney. This is the first time since 2010 that details of the March Madness bracket have been revealed by someone other than CBS. Chances are, the network will do all it can to prevent it from happening again. The NCAA has launched an investigation into how the leak happened. "We go through great lengths to prevent the tournament field from being revealed early, and the NCAA took its usual measures to protect this from happening. Unfortunately and regrettably, the bracket was revealed prior to our broadcast partners' having the opportunity to finish unveiling it," the NCAA said. "We take this matter seriously, and we are looking into it." Notre Dame coach Mike Brey said he got a text from his son Kyle, saying the leaked bracket showed the Irish playing the winner of the Michigan-Tulsa First Round game. "I thought he was messing with me," Brey said. "So I just deleted it. Fifteen minutes later, we show up, and then I found out we had a little leakage going on. "Nothing's secure, huh? That's great. That is so typical. It's so typical of college basketball." This video includes clips from CBS Sports and images from Jason Dean / CC BY 2.0 and Getty Images.